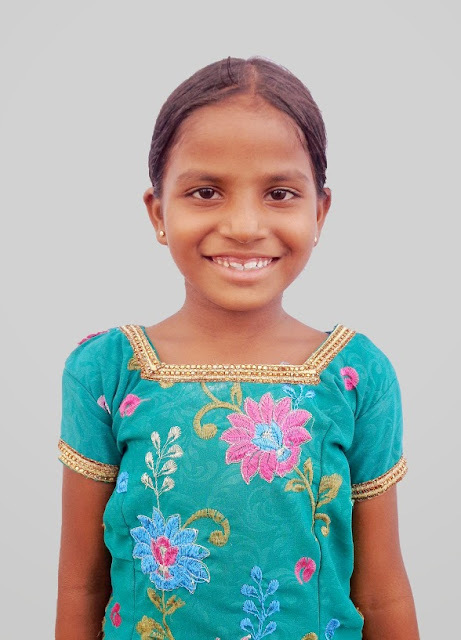 New Hope for Children Orphanage: Keerthi needs new sponsor: will you rescue her today? My name is Keerthi. I am in 1st Grade. My parents are daily laborers, and they could not send me to school or provide for me. I had to migrate with them to every place they work. I had no hope for good future. I wanted so much to go to school. Appa George spoke to my parents and placed me in NHC Home. I am blessed to be here and learn so many things. My ambition is to become a teacher. TO SPONSOR KEERTHI, CLICK HERE!